Like many millennials, I was born in the 80s, came of age in the 90s, and entered adulthood in the 2000s. That means I witnessed the birth of the digital age. I remember cassette tapes, CDs, mini disc players, and mp3 players. I still own VHS tapes (with no VCR to play them on). This also means that I bore witness to explosion of Black films in an era when MTV was still about videos and music. But, sadly, people rarely recognize the absolute fire that was Black moviemaking in the aughts. These 9 films are some of the best from the decade of the new millennium that just don’t get the respect they deserve. Without a doubt, Love & Basketball is one of the best and most influential movies of the 2000s. It was led by decade staples Sanaa Lathan and Omar Epps (and even featured an early career Regina Hall). It had that unforgettable track “Fool Of Me” from Me’Shell Ndegéocello. And a number of the college scenes were actually shot on site at USC (my alma mater). But more importantly, the movie was a love story crafted around two Black folk from LA seeking professional basketball careers. Hella Black, yet hella dope. Say what you want about Tyler Perry, but Why Did I Get Married? was hella good. I’d argue that this was the breakout role Tasha Smith needed to be taken seriously as a hilarious actress. Jill Scott was a tour-de-force, touching on real issues of being unappreciated in a relationship. He even pulled out a strong performance from Janet Jackson. I’m not ashamed to say I have this one on DVD. There were a lot of films in the 2000s that tried to tell lesser-known stories of Black America. Somehow, The Great Debaters got lost in that shuffle. This movie was about Melvin B. Tolson, a professor at Wiley College Texas, and the debate team he put together that ended up challenging Harvard in 1935. Denzel Washington starred in and directed the film, alongside other heavy-hitters like Forest Whittaker and Kimberly Elise. And a pre-Underground Jurnee Smollett-Bell slayed in the meatiest role she’d had since Eve’s Bayou. Don’t laugh. Yes, Two Can Play That Game was a ridiculous movie with a ridiculous premise. The 2000s were known for basic Black romantic comedies like Deliver Us From Eva and Brown Sugar. But anything with either Vivica Fox or Morris Chestnut in it is required viewing. And they somehow turned a dumb movie about using games to get her man in line into a hilarious classic. 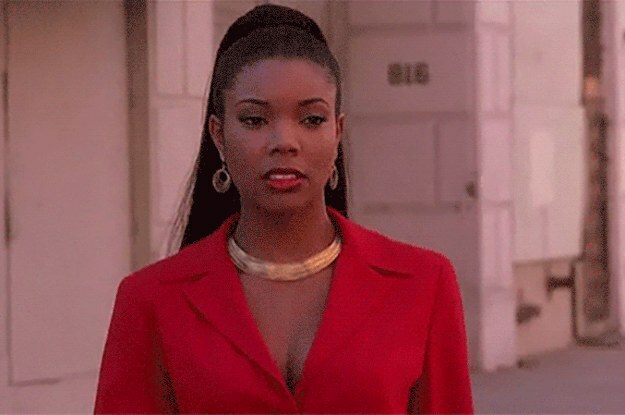 Plus, Gabrielle Union’s role as Conny was iconically stereotypical. Will Smith can do no wrong in front of a camera. He can be a Fresh Prince, getting Jiggy, or trying to expose the corruption in the NFL with a questionable accent. Fight me. But one thing we can all agree on is that Smith is an expert at taking down aliens, the undead, or any other humanoid threat the world may face. And he does it with, skill, finesse, and vulnerability in I Am Legend. I know this movie was problematic as hell. But it was also the perfect vehicle for Shawn and Marlon Wayans to do whatever the hell they wanted. They cracked “yo mama” jokes, they skewered white fragility, and even had low-key insightful commentary on use of the n-word. Colombus Short was just the next fresh faced Black actor poised for a long and successful career as a love interest, like Morris Chestnut. Things were simpler then. He was also the perfect actor to play a college freshman at an HBCU with next to zero knowledge of HBCU culture. But that final performance was lit tho. Denzel Washington is playing the coach of a high school football team in its first racially integrated season? Yes please. I’d go see that in a movie theater today. And I already know he’s going to deliver a stirring speech that will make my eyes sweat. This might be coming out of left field, but movies like Pootie Tang are once in a lifetime type of movies. It makes absolutely no sense, we’re all confused as to how it even got bankrolled, but it was an instant cultural touchstone. The gibberish, the belt, the ponytail, the … plot? All undeniable. Just like Wanda Sykes in her best role to date as Biggie Shorty. Tags: BlackDenzel WashingtonentertainmentfilmsFor Colored GirlsI Am LegendLove & BasketballPootie TangRemember the TitansStomp The YardThe Great DebatersTwo Can Play That GameWhite ChicksWhy Did I Get Married?